As the credits rolled following the Rocky reboot, Creed, you hear musician, Vince Staples, rap the lyric, “We fight to live; they fight for sport. 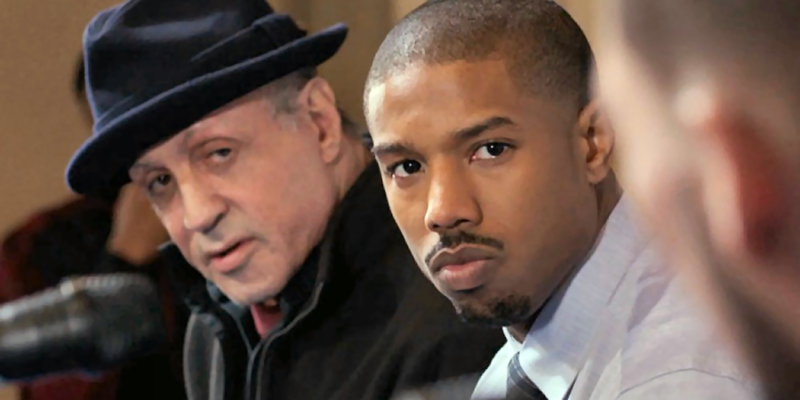 I try to give, they ask for more.” Well, actor Michael B. Jordan gave his all in his role as Adonis Johnson (Creed), and surely people will be asking for more. Creed, written and directed by Ryan Coogler, is the best film released so far in 2015. Adonis Johnson is the son of the late Apollo Creed. Apollo died in the ring before Johnson was born however and his mother died when he was young. He spent most of his childhood bouncing around foster homes and getting into trouble for fighting until Apollo’s widow, Mary Anne Creed, adopted Adonis. Adonis was lucky to escape the system and move into a nice home in Los Angeles with Mary Anne. The fight could not be taken out of the young man however and he eventually moves to Philadelphia to track down someone to train him. Rocky Balboa hung up the gloves for good, and he could not have picked a better time. As Adonis’ trainer, Sylvester Stallone’s classic character was able to help revive the historic movie franchise. Yes, there was a Rocky film in 2006, but let’s just say that this is the first one in 25 years. Creed supplied viewers with deep emotions while Adonis fought against himself, inside, and out. Adonis was constantly shadow boxing and fighting the mirror, while Balboa was in his, ear telling him that it was Adonis against himself, always. All this while Adonis was struggling to take on the name Creed, because he wanted to show that he could build a legacy for himself. In reality it was the right to his fathers name that Adonis was always looking for. The film took an interesting spin on the traditional boxing story by taking Adonis from his good home in California to chasing his dream as a fighter in the streets of Philadelphia: from riches to rags. Bianca, Adonis’ love interest in the film, was played by Tessa Thompson who did a great job developing Adonis’ character further while having immense depth in her own character as a musician who was progressively losing her hearing. Coogler, who worked with Jordan previously on Fruitvale Station, did a great job in Creed to keep the story true to the Rocky franchise while not beating the former film structures to death. With most of the film being based in Philadelphia, it was important for Coogler to capture the Philly culture and Creed did not disappoint in that aspect either. The soundtrack featured multiple tracks from hip-hop star and Philadelphia native Meek Mill. They also captured the very popular all-terrain vehicle culture in the Streets of Philadelphia. As Adonis was training he was being followed by a group of Philly natives on dirt bikes and four-wheelers. From the dialog, to the music, everything about Creed encapsulated Philadelphia. A fun part of the film was looking for the many cameos. Philly rapper, Tone Trump, played himself in the film. Andre Ward, one of the best boxers in real life with a professional record of 28-0, starred as boxer Danny Wheeler, who provided Adonis with an early boxing lesson. That is just two of the many stars who popped up in the film. The camera work during the boxing scenes was phenomenal. In the final fight of the film we were given these quick, extreme close up shots of the blood covered ropes and the rusty bell going off. Creed is the perfect blend of action, comedy, nostalgia, and emotion. Michael B. Jordan has just been passed the largest torch in sports film and he has sprinted away with it.